NEW YORK, NY, January 13, 2016 – MCW Global (Miracle Corners of the World), a non-profit organization that addresses communities’ pressing needs by empowering current leaders and readying leaders of tomorrow, announced today a reorganization of its youth-focused programming, in an effort to deepen its impact in preparing youth leaders to implement change in their communities around the world. Under the new umbrella of the Young Leaders Program (YLP), the Annual International Youth Leadership Retreat will kick off a yearlong program during which Young Leaders will implement positive change in their communities. “As the organization restructures our programs to focus more on the community level, we saw a huge opportunity to expand our annual program beyond a one-week experience in the summer,” said Young Leaders Program Coordinator, Regina Leichner. 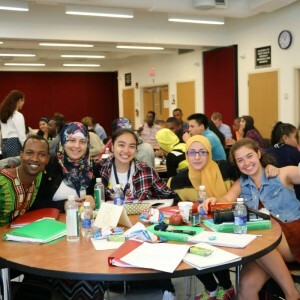 Key changes to the program include formalized, yearlong guidance from mentors, who will help advise the Young Leaders as they create and implement their plans for change, as well as additional resources provided throughout the year to Young Leaders by MCW through an online workshop series and an online platform available to alumni. Mentors will also receive more in-depth training prior to the retreat in the U.S.
MCW is currently accepting applications for the 2016 Young Leaders Program. The application and more information about the program can be found at http://bit.ly/2016YLPinfo.